What Are the C's of Small Business Loan Qualification? 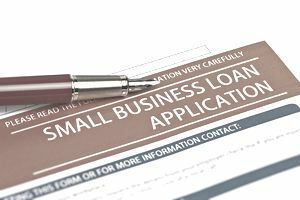 When banks start to tighten lending to the small business market, they look to reduce the risk of issuing a small business loan. To qualify, a small business must understand the risk assessment processes bankers use in loan determinations. Bankers making a loan approval will review a small business in the context of the 5 C's for small business loans and credit as follows. The bank assesses the trustworthiness of candidates for character. Factors for character criteria are: business experience and knowledge, personal and/or small business credit history, references and education. The business and individual's ability to pay back the small business credit determines capacity. Bankers will review the cash flow of the business and determine alternative courses of repayment available. To reduce the risk of lending, collateral in various forms of assets can act as another method of repayment. Collateral would include: equipment, real estate, inventory, account receivables, and securities. A personal guarantee, or a signed document, can be required as an additional reassurance of repayment. Obtaining small business credit and providing guarantees may seem troubling, but the bank really does not want to exercise its position on seizing and liquidating assets. In most cases, the banker will work diligently to find payment solutions. A business owner's investment into their own company sends a message of confidence in the business and the ability to repay the small business credit or loan. Net-worth and equity are the two key financials used. Ultimately, a business owner unwilling to invest their own funds in the company will often find banks are unwilling to take the first risk. What Will the Bank Accept as Collateral for Your Small Business Loan?